"Quality over quantity." Dowd advises Palin to skip the constant tweeting, political pep rallies, and photo ops in lieu of more serious, gravitas-building appearances. "Hope and fear." The Queen of the Death Panels clearly knows how to stoke fear--a skill aided by her extremely casual relationship with the truth--but has thus far not displayed a particular gift for tapping into people's hopes. To this end, Dowd recommends she get out of her happy-place bubble, travel more, and start talking to a broad cross-section of people about something other than what a great patriot they think she is. "Reagan is the past." Palin needs to appreciate the values of our 40th president but not slip into the category of "acolyte." "Use humor." She should lighten up, learn to laugh at herself a little--and for god's sake control that pathological grudge-holding at least to the point she can end this public slap fight with her grandson's teenage daddy. "Think accountability." Palin should man up, stop whining about how everybody is out to get her, and start admitting she wasn't ready for prime time in '08. Now, it's not that any of Dowd's prescriptions seem wrong. (Heck, the Reagan one could be tattooed on the forehead of any number of nostalgia-riddled Republicans.) It's more that Dowd is urging Palin to change her basic nature: Be less provincial. Be more serious. Don't nurse grievances. Don't be an attention hog. Stop blaming other people for your problems. Be more upbeat. Don't turn everything into a battle. Acknowledge your shortcomings. Whew. While we're at it, why not call on Palin to become a policy wonk, abandon the partisan bomb-throwing, and focus all that energy on a worthy but low-profile cause to show how earnest and serious she can be? 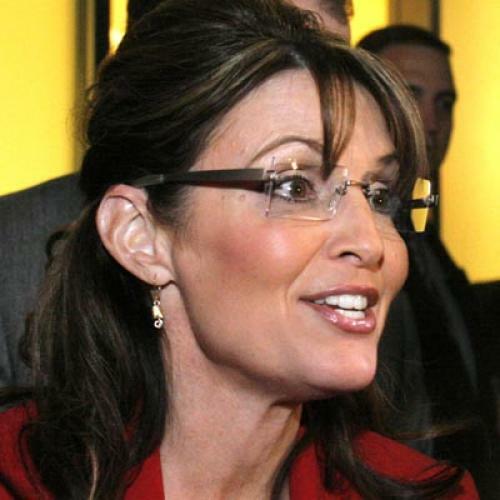 For better or for worse, Palin is who she is. As is often the case, her awesome charisma comes burdened with breath-taking arrogance and a whole lot of crazy--which, as Bill Clinton so graphically demonstrated, cannot easily be weeded out. When dealing with such fundamentals, the contention that Palin can become president if only she will be x instead of y winds up less an exercise in showing how the ex-governor can succeed than in exposing Dowd's real belief that she cannot.